Homemade wonton filled with juicy ground pork, simmered in chicken broth and garnished with sliced roasted pork, scallions and crispy shallots. 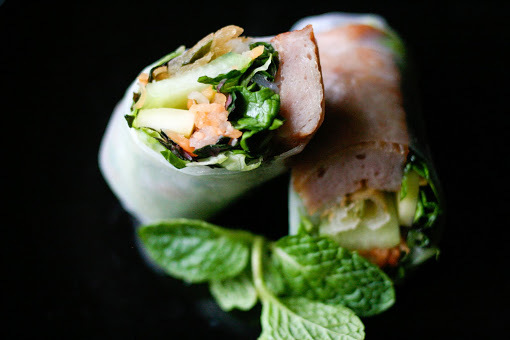 Fresh lettuce, basil, cucumber, rice noodles and shrimps wrapped up with rice paper. pork ham, BBQ pork, pork sausage and dried shredded pork. 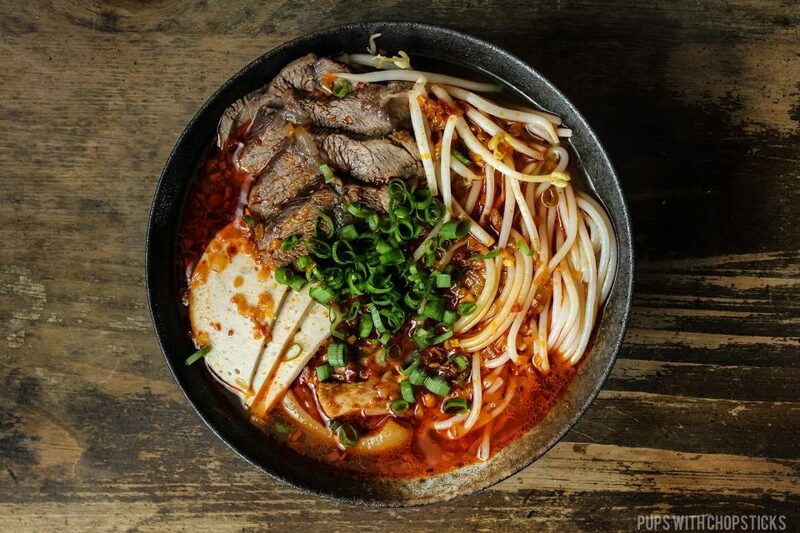 The most popular rice noodle soup followed by thin slices of flash cooked beef, which remained half raw, flank and beef meatball. All swimming in a flavorful beef bone broth that simmered for 24 hours , and just a hint of traditional herbs and spices. 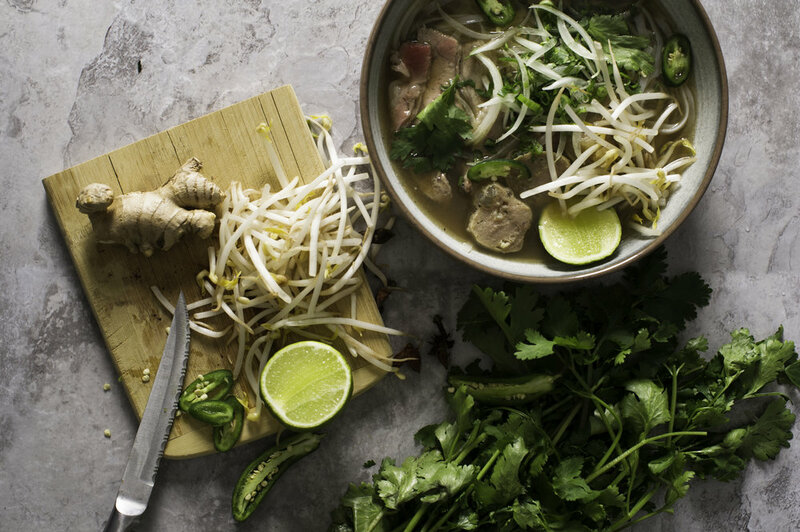 Rice noodle with nourishing and flavorful fat-free broth. Garnished with tofu, bean curd, broccoli, carrots and napa cabbage. 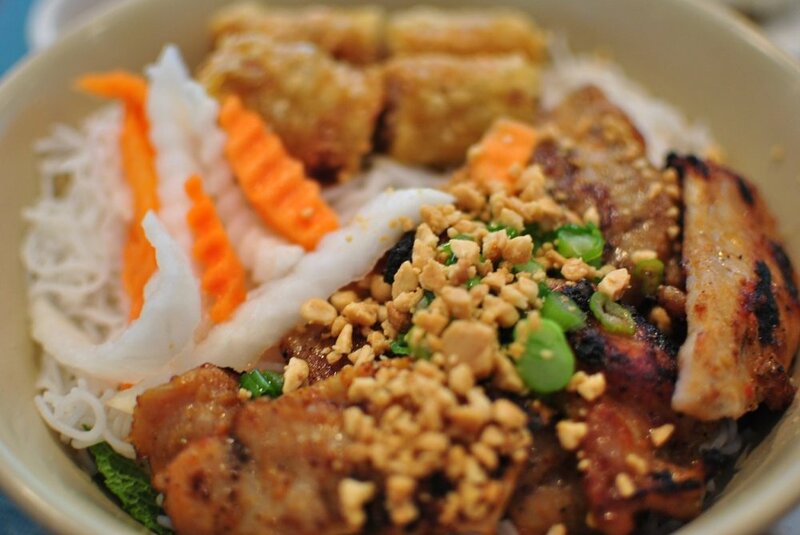 HU TIEU " Hu Tew"
Vietnamese turmeric rice noodle in a flavorful veggies broth. Served with Oyster mushroom, fried tofu, shredded cabbage. 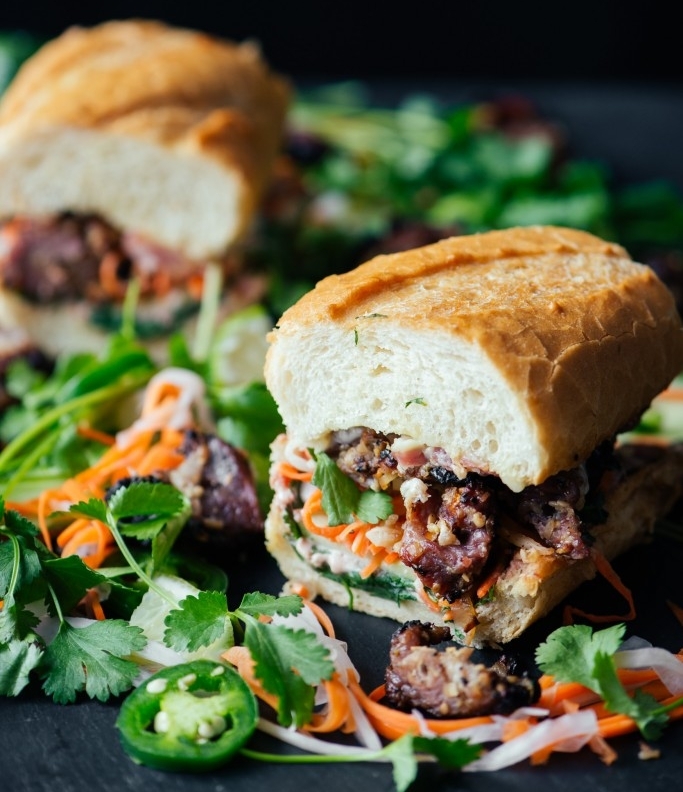 Topped off with, crispy shallots, Vietnamese coriander and crushed peanuts.